Global Dance will be participating in this annual alternative arts festival. Performance times are Thursday, June 6, 8:00 p.m.
Friday, June 7, 6:30 p.m.
Saturday, June 8, 2:00 p.m. & 9:30 p.m. Learn sword technique and a full sword choreography to a Beats Antique Song. $25 Early Bird registration; $35 after June 6. Click here for more info and to pre-register. Sulukele's weekly series of costuming classes continues on the 8th with Tribaret Belt Building. Check out the Facebook event for more details. Join Awalim Dance Company, apprentices and students, and musicians for live music and dancing in Oakhurst's Harmony Park. Part of the Sidewalk Saturdays series in Decatur. Shimmy technique with one of North Carolina's most prominent performers and instructors (she'll also be in the Rak the Casbah show Saturday night!). Pre-register here. The S-3 Cooperative (Saheli, Sarah, and Saroya) presents a show featuring the dances of the Middle East – with live music by special guest Cyrus. Tickets $5.00 in advance or $10.00 at the door. Learn more at Saroya's web site. 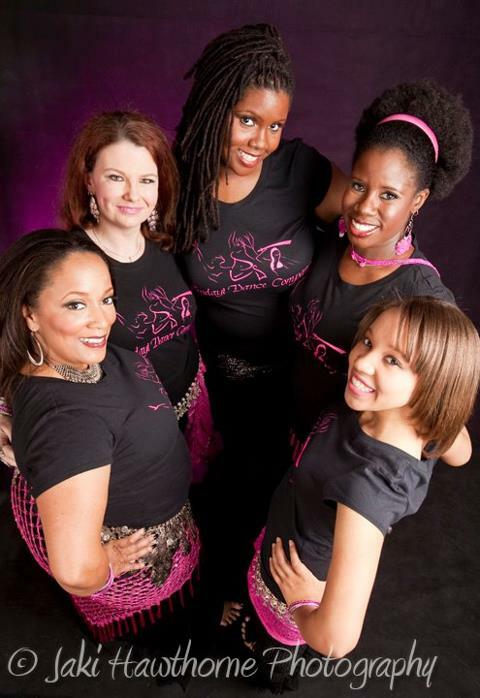 Atlanta Fusion Belly Dance "Rak the Casbah 4"
Join the ladies of AFBD and special guests as they celebrate their fourth anniversary! This show will be at a new belly dance venue, 14th Street Playhouse in Midtown. Doors open at 5:30 p.m.; show starts promptly at 6:00 p.m. Get advance tickets here. RSVP to the Facebook event for the latest info. Workshops 10:00 - 2:30; hafla 7:00 p.m. If you've been wanting to try the Tribal Odyssey improv style you may have seen performed by Athens troupe Qamar, here's your chance. 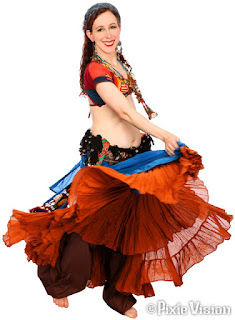 Evadne Medina will teach an Intro to Tribal Odyssey Group Improvisation class, followed by "Dancing Through The Skirt." Registration is $20 per class, or $30 for the day ($25 for the entire day IF you preregister by June 8). Pre-register by contacting Rajni for Paypal information. More details at the Facebook event. Sulukele's weekly series of costuming classes continues on the 22nd. Learn to make a Turkish vest! Check out the Facebook event for more details. Two of metro Atlanta's most prominent troupes collaborate for the first time! Plus special guests. Tickets $15 in advance, $20 at the door. Check out the Facebook event for more details. A fun, relaxed gathering. Bring your bits and pieces, costumes, jewelry, class wear, those bits of fabric you swore you were going to use because they were your muse for your next act but never actually got around to doing. Trade or partial trade preferred to vending/selling. Open to all dancers. Bring snacks to share. Visit the Facebook event for the latest info. Placement (or distribution) is how the product gets to the consumer. Obviously, for consumer packaged goods companies like Coke, having products on the shelf and available to consumers is essential to success. One of the phrases commonly used at Coke is “within an arm’s reach of desire.” The company began applying that principle during World War II, and we’ve all seen their growth since then. 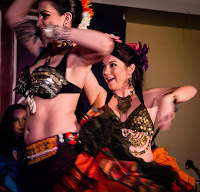 In the belly dance world, this concept is especially applicable to events and classes – where and when the consumer will experience your product. These elements are important – and just like pricing, they are intrinsically connected to the appeal of the product. How do you know you have the right placement? Again, you must have an objective sense of how "convenient" your location is. We all know that people will drive hours to study with a nationally or internationally famous dancer. However, most people – especially in metro Atlanta, which is notorious for traffic problems – will not go far out of their way for weekly classes or workshops with less well-known performers. You must also schedule your event at a time when people will be free (and have the funds) to attend. Check your local event calendars and Facebook events. Check the web sites of other event producers in your area. Consider holidays and vacations, of course. Find the “white space” where there is limited competition for your customers’ time and money. Now check out the the final P... the one everyone thinks of when they think of "marketing": PROMOTION.